Modern candle holder with a geometric styled framework that is fully adjustable and can be set in various positions, finished in a plated, brushed nickel. 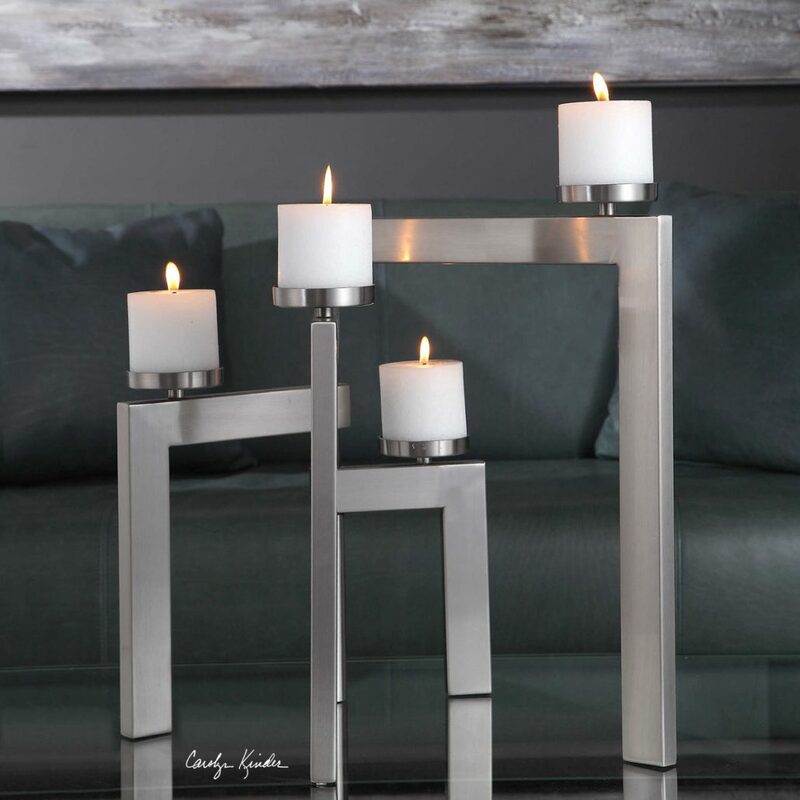 Designed by Carolyn Kinder International, this modern candle holder is available through Uttermost. Part of the exclusive Revelation line, this design is available to trade professionals at Uttermost.com.